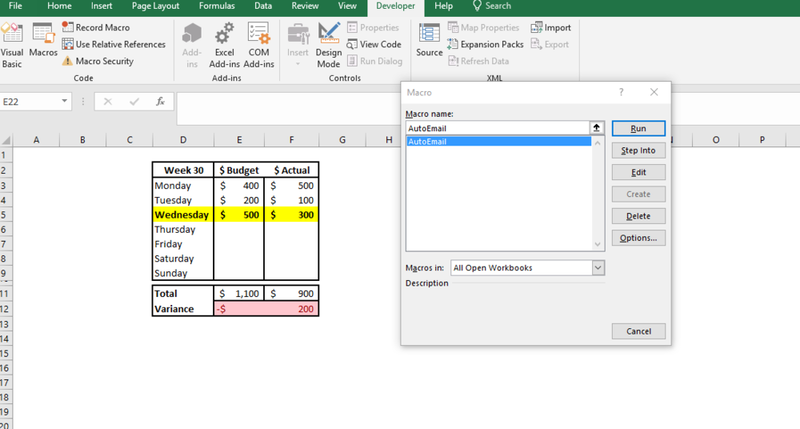 Automatically Send Emails Using Excel - It’s Easy, Quick and Reliable! Sick of emailing a report every day? Automate it using the following Macro, which emails a specific range! Be sure to check out our Macro Scheduling Tutorial beforehand, if you want to automatically schedule the macro to run. Else it is as simple as a button click! This macro simply copies a specified range over to Outlook, then hits the send button. Automating what you would normally do, if you wanted to send a table of data. I originally used a macro that took screen shots, and attached that to the email. However I had problems where the images didn't display correctly, due to security settings on our companies server. The technique below is easier, and gets around that issue. Just make sure you have Outlook working and set up. If you were hoping to use Gmail, fear not as I have also got this working using Google Sheets. I will provide a tutorial on this shortly. Call it "emailtest" without the quotes. I avoid spaces for simplicity when updating the code. Macro Enabled of course. Note how I turned off Gridlines - simply to help with my design. You don't need to do this. To follow along, just make sure your design is in D2:F12. This converts your range into HTML, which keeps the pretty formatting and ensures formulas don't mess up on the email . Same Module, directly under the "End Sub" of the previous code.
' You need to use this module with the RangetoHTML subroutine. Three things you need to change. Set rng = Sheets("Sheet1").Range("D2:F12").SpecialCells(xlCellTypeVisible) .To = "youremailhere@gmail.com" .Subject = "Daily Budget Update"
Easy as that. You are now ready to test it out. 1. Save your workbook and close VBA. If you look on your phone, the above example will look messy. But just keep playing around with row/column widths to adjust. 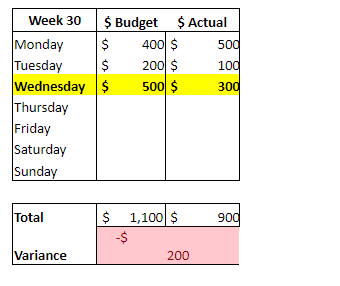 Get rid of borders, conditional formatting etc. Another trick is to increase the range you are coding it to send, for example create some white space around it. This is the easiest auto email macro I have come across. Once you are happy with the formatting, change the Sub AutoEmail() to Auto_Open() and use the Macro Scheduler Tutorial to start automating emails! If you still can't get the formatting right, think about creating a PDF and attaching that to your auto email instead. Read my Email PDF Excel Tutorial to find out how. If you are thinking of automating emails, I recommend to transition to Google Sheets if possible. This makes it easier to schedule them, and I have an easier time making the formatting look nice. View the Google Sheet Email Tutorial. Download the workbook and code below!